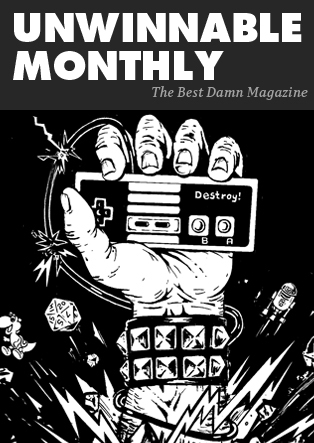 This feature is a reprint from Unwinnable Monthly #110. If you like what you see, subscribe and get all future magazines for half price. 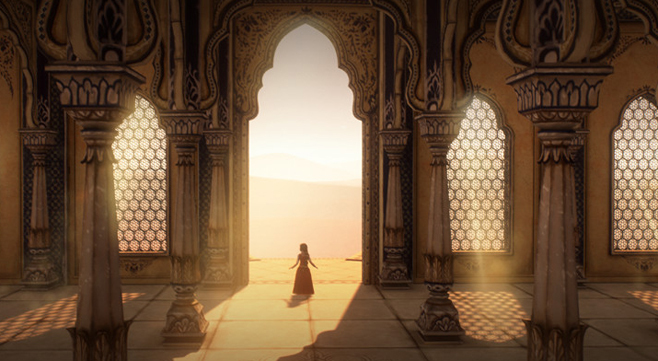 Nodding Heads Games is hoping that their forthcoming Raji opens the floodgates of Indian game development. 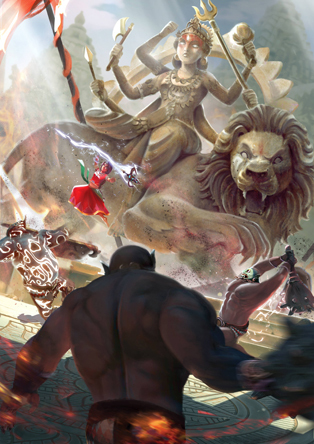 Raji is an action adventure game based on Indian and Balinese mythology, a story of siblings and intrigue. The team at Nodding Heads, which is based in Pune and has a majority Indian staff, aims to represent unique aspects to Indian culture, something that has not been explored in videogames in any particular depth. Players take the role of Raji, a young tribal girl intent on rescuing her brother from the demon lord Mahabalasura, while saving humanity from total annihilation (naturally). Founded in 2017, the team has overcome suggestions that Raji is too ambitious and that they were biting off more than they could chew. With more than five decades of collective experience working for companies like Sony, EA, Rockstar, Zynga, The Chinese Room, Stainless and Ubisoft, to name but a few, they now hope they are in a position to put India on the game development map. Founders Avichal Singh, Shruti Ghosh and Ian Maude sat down with us to discuss Raji, its development and its inspirations. What inspired Raji? Does the name have any particular significance? It made perfect sense to us, and there’s so much wealth to lean on in terms of cultural diversity and the aesthetic beauty, not to mention the myths and stories that surround both the Indian and Balinese traditions. We’re passionate gamers ourselves and have rarely witnessed a game set in India. How do you see Raji fitting in to the action RPG space? 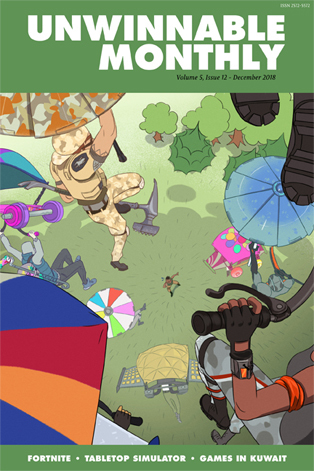 We’d like to clarify that Raji is an action adventure game, instead of being only an action RPG. Our game does have RPG elements, but we wouldn’t call Raji an action RPG game. The feature “Favor of the Gods”, which allows the player to use elements like ice, fire and lighting to their liking is definitely one of features allowing for customization. Talking about our game fitting in the action adventure, we do think we are providing an experience which feels familiar yet is unique in many aspects. When we started with this project, Shruti wanted to portray the old traditional Indian painting which personally inspired her – the Pahari paintings have a very prominent art style. Though it was a challenge to emulate that old painting look in the game, we kept experimenting till we actually achieved something that we were happy with. The environments are gorgeous (I particularly like the use of the glowing mandala) and all of it is hand painted. What is the process like for that? And how do you approach the Indian art and architecture that inspires it? We used existing medieval palaces and forts as inspiration and sketched out ideas which would fit our universe. We created placeholder geometry which would be replaced with actual assets; this gave a great indication on how the scale would be represented and also the use of light. For instance, where the shadows would fall and how best to utilize them. 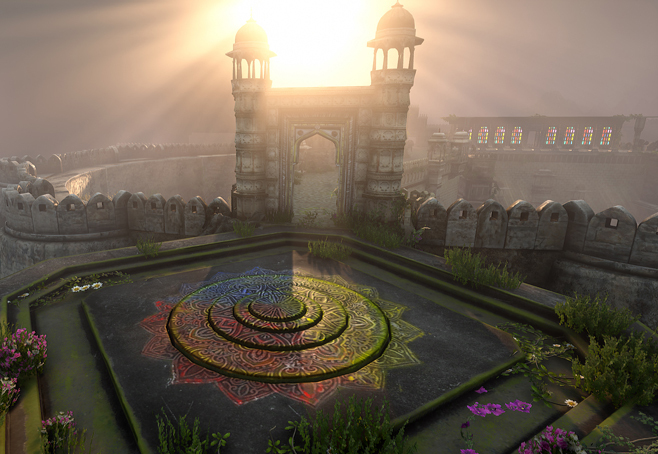 I feel that it isn’t unusual for Western and Japanese developers to draw on Indian/Balinese aesthetics in their games. Can you share your thoughts on the importance of being an Indian developer making games that draw from Indian culture, experience and mythology? 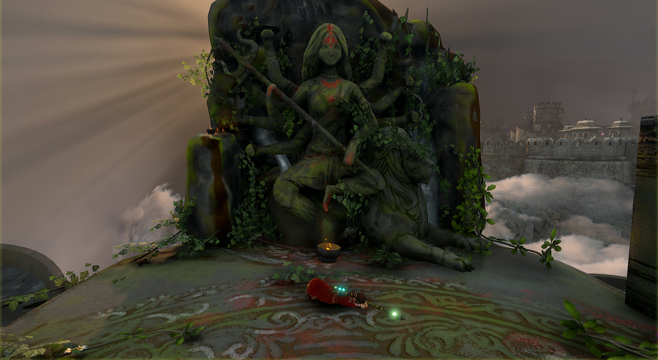 As gamers, we have always felt a void regarding games based on Indian culture/mythology. While the joy of discovering Indian content in videogames is always persistent, the content does feel stereotyped or out of context at times. Moreover, an entire game based on India’s culture/mythology is very rare, due to skepticism regarding the reception from an Western/Japanese audience. Our motive is to provide an authentic experience, which breaks the stereotype of not only Indian culture/mythology, but Indian developers as a whole. We are more than capable of delivering original content within the global standard of quality, rather than just being regarded as an outsourcing hub. We do hope Raji will inspire many more Indian developers to push themselves beyond the norm. We are humbled to receive various messages and comments regarding the same, especially from Indian gamers/developers. I love the music in the gameplay video – is that representative of the music for the game? And if so, how did you approach it? It seems like an interesting fusion of traditional and modern, east and west. The music of the game has been composed by our music maestro, Linus [Tzelos], who’s from Greece. We met Linus back in 2014. While Linus is well versed with Western and traditional Greek instruments, he went to Ajmer, Rajasthan, and learned various Indian instruments, including Ravanhatta, which is a key instrument to the games music. His experience with Master Kistoor in his two month stay at Ajmer helped him understand traditional Indian music better, which is strongly reflected in his compositions. We are very excited for what’s to come, Linus will be arriving in few weeks from now and we can’t wait to hear what he has planned. What do you hope players take away from Raji? More than anything, we want the player to go away with new ideas to think about; it’s much more than simply diving into Indian culture. On the one hand, there’s this story of an older sister who attempts to save her younger brother, and everything that she goes through, her emotional experience, the trials, all of this is very important. But we also approached the story in a non-typical way — there’s more to it than a simple conflict between good and evil. Various new goals will be introduced as the story unfolds. While the main character is on a mission to save her brother, the world around her is playing by its own rules: there are gods, and mystics and demons, each one of them pursuing their own interests. The main character will have to face a dilemma that will determine the fate of a single person as well as the whole world. We want to portray this idea of having to make difficult decisions in extreme situations, rather than simply to make a choice. We were initially going to use Unity, because the game was going to be 2D. But then we realized early on that the amount of assets required would increase exponentially and we only had a finite amount of time and artists. We weighed up the pros and cons for both and UE4 was the sensible choice given our collective experiences. Moreover, one asset could be used multiple times – rotated and scaled – whereas a 2D asset could only be used once. The grant came at the right time, just after a unsuccessful Kickstarter – which we learned from – which was used to sustain the team. We have since developed the game further and can’t thank the folks over at Epic Games for their continued support. Raji is slated for a Q1 release in 2020. Learn more at Nodding Heads Games’ official site.